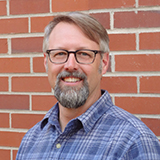 Michael has more than 24 years of experience in landscape architecture and urban design practice. A skilled leader in directing projects from conceptual design through construction, Michael is passionate about the sustainable design of outdoor spaces that are beautiful, and enduring. Michel brings nearly a decade of design-build expertise to his projects along with 10 years leading a Colorado parks and recreation board. He is experienced in facilitating public meetings and community groups, and collaborates with clients and team members to achieve innovative solutions on projects. His experience includes a variety of both public and private sector projects, including public parks and recreation, urban design, community planning, and private land development.